If you ask the people in Nagaland to pick which one is more important – feeling good versus looking good, very likely that the responses will be equally divided for both for most folks. 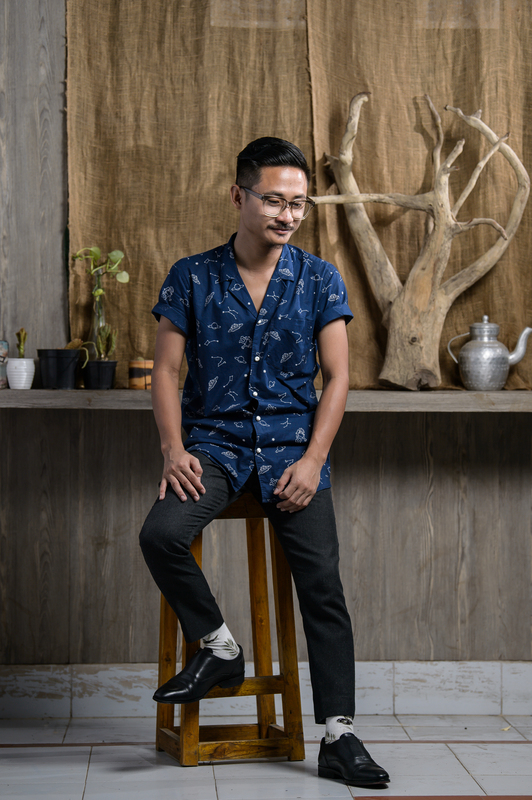 Reflecting the general attitude towards dressing up – with an added premium to personal style and comfort, you will see a variety of trends and trendy painting the outdoors and indoors of Nagaland. 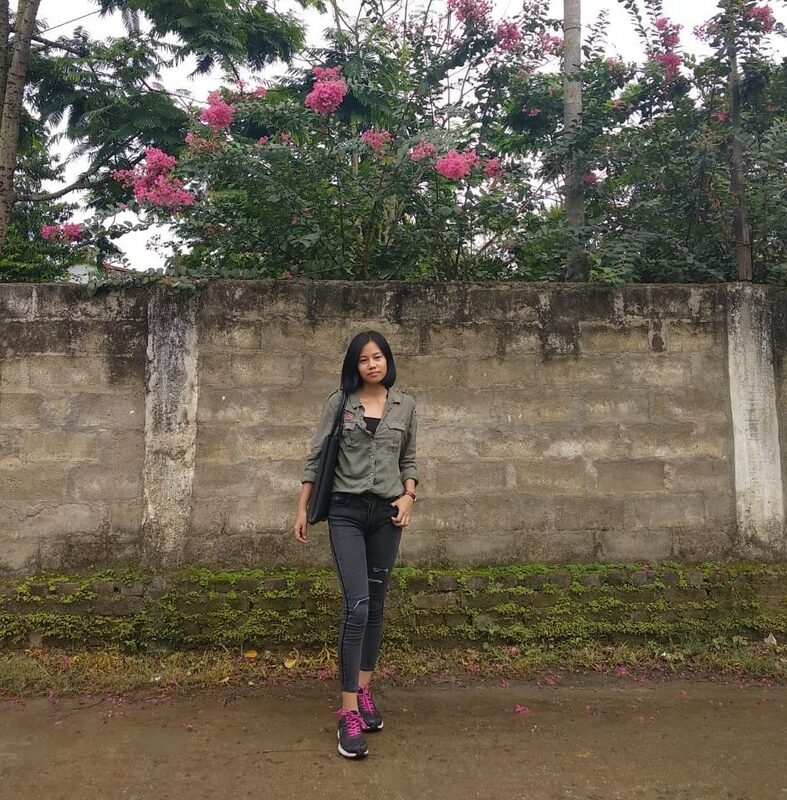 We wanted to take you guys into the streets of Nagaland to give a quick glimpse into the local fashion scene, so our contributor reached out to seven of her friends to give us an insight into what they are wearing, and what’s trending in their neighborhood. 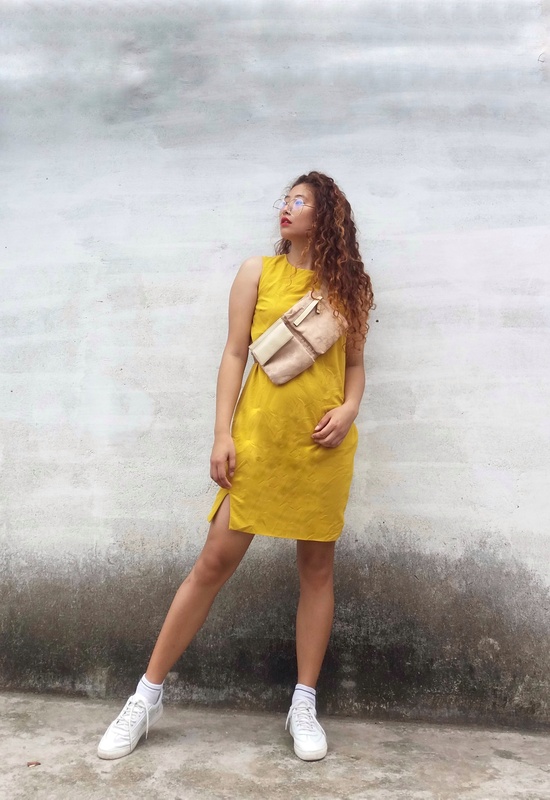 “Thanks to social media, fashion inspiration to actually wearing the latest trends is almost instant; what we see in magazines, TV or internet takes no time to reach the streets of Dimapur. My everyday wear is fitted/tailored pants, comfy and functional separates. I believe in minimalism and like to keep it simple and add accessories. I’ll also choose flats over heels any day. 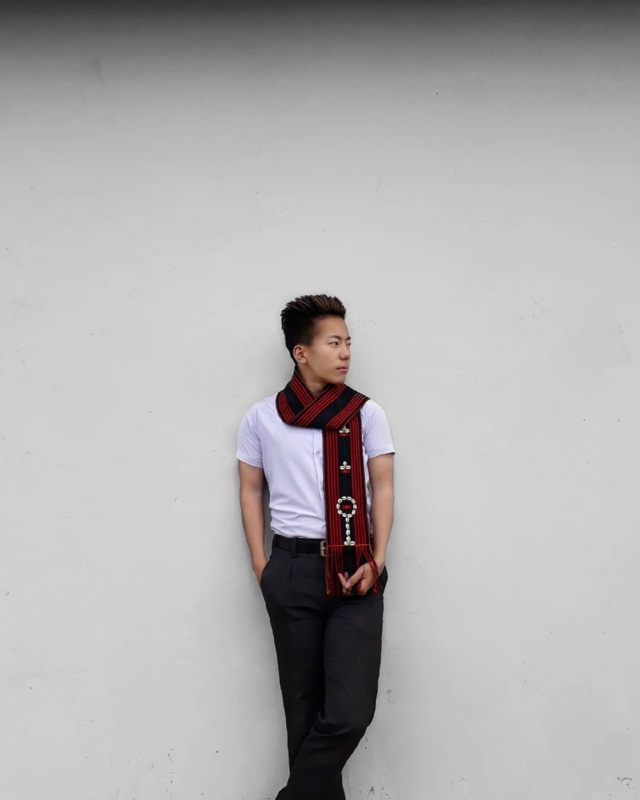 Tongpang Walling, 28 from Dimapur looking fresh and dapper – with a printed shirt and black cigarette pants with a pop of art in his colorful socks. He finishes off with a slick combed-back hairdo and oversized glasses. 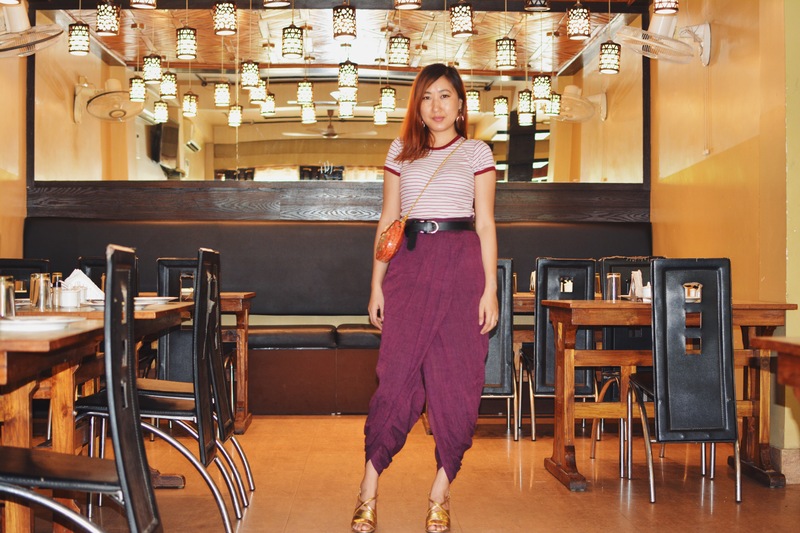 “I think the most popular and obvious trend in local fashion scene would be the “comfort and trendy” combo. Benthunglo Patton is going boho-chic this summer by incorporating Indian ethnic items to her closet. Check out her night-out outfit with a comfortable tee and harem-style bottoms combo. Her golden strappy sandals and sling bag adds the right amount of bling to help her make a bold fashion statement. 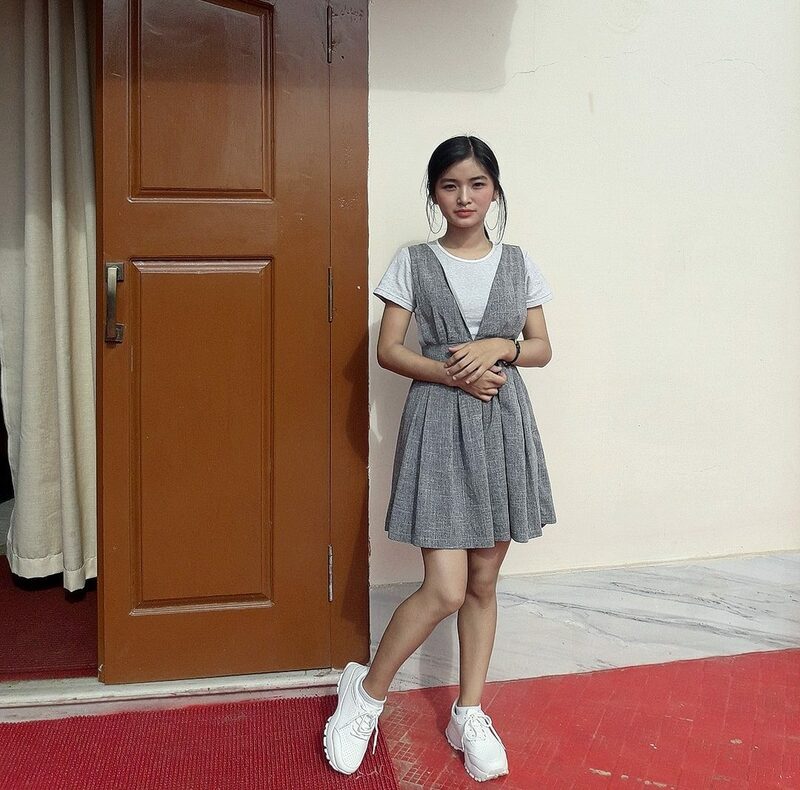 “Sneakers and trainers, I must say have pretty much transcended trend territory currently in Nagaland. I have seen many who pair sneakers with endless outfit combos such as summer dresses (maxi and medi), shorts, jeans, cropped trousers, wide legged trousers etc which looks super cool and chic. 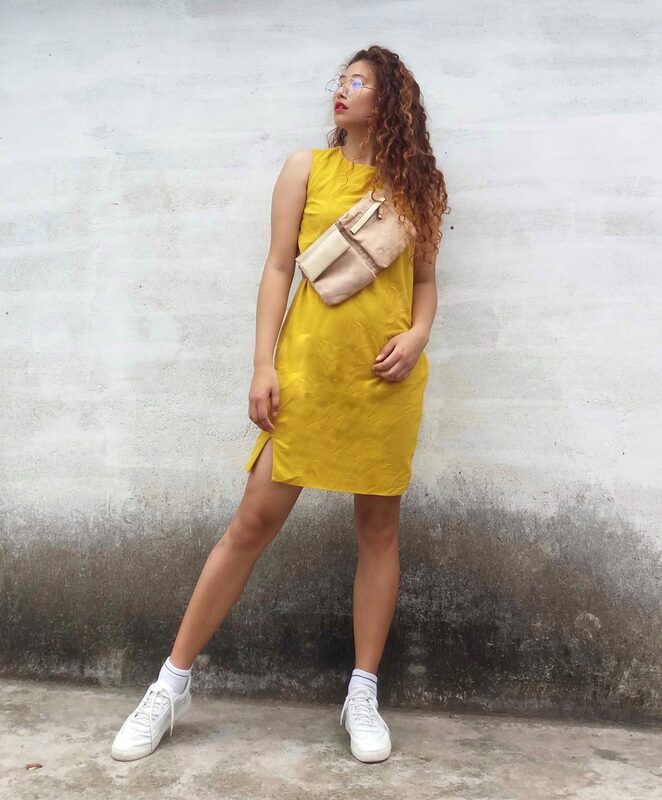 Iuli Yeptho channeling the rock star persona that she is (she sings in a band “Trance Effect”), she looks stage-ready with a gorgeous mustard slit dress and white sneakers. Her golden curls paired with oversized glasses and on-trend fanny bag are hard to beat. 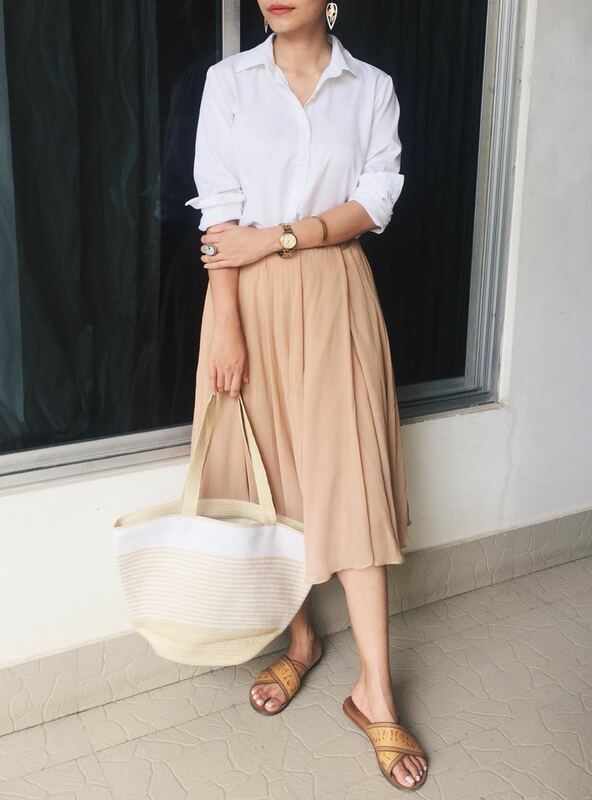 Sungjemlila looking effortlessly trendy with a basic white top and a grey dress on top. Talk about being summer appropriate and fashionable, we think she nails the look! 10/10 for her minimalist look perfectly done with thin silver hoops and white sneakers. “I think “Freestyle” is the word that best describes the popular trend here in Nagaland. 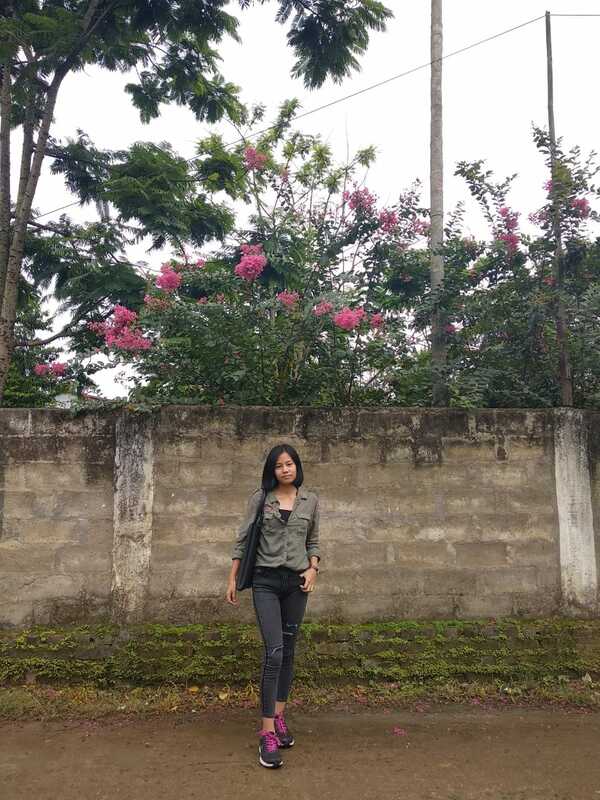 Everyone’s basically doing their own thing, so you see a wide variety of trends walking the streets in Nagaland. Nagas are blessed with an innate eye for good fashion taste and even more blessed, because they can pull off anything with ease. What are your thoughts on these local fashion trends from Nagaland? How’s the fashion scene in your local town/city? Write to us at info@rootsandleisure.com to contribute or fill the form below!